I have gotten responses that you guys wanted a tool that is as advanced as Juliar but had the GUI and ease of use of RatTeam Toolkit. 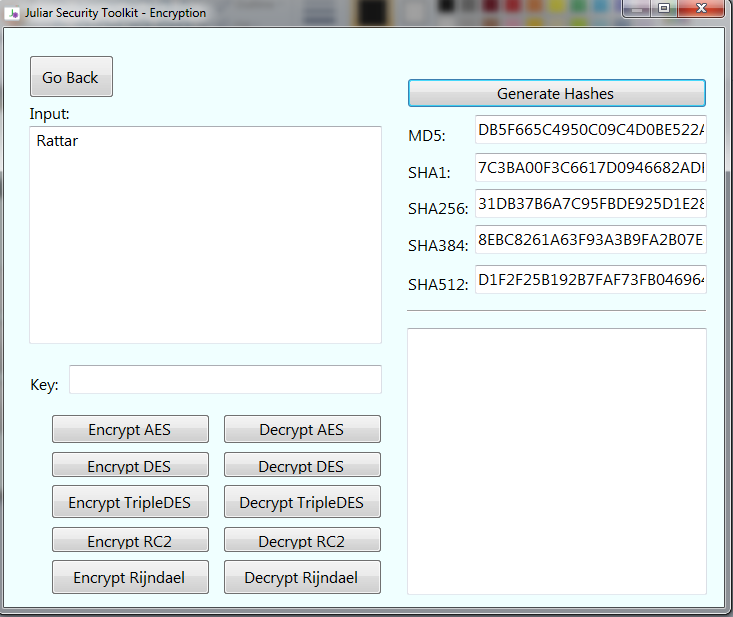 So for every security expert, I’ve decided to combine both tools into one. 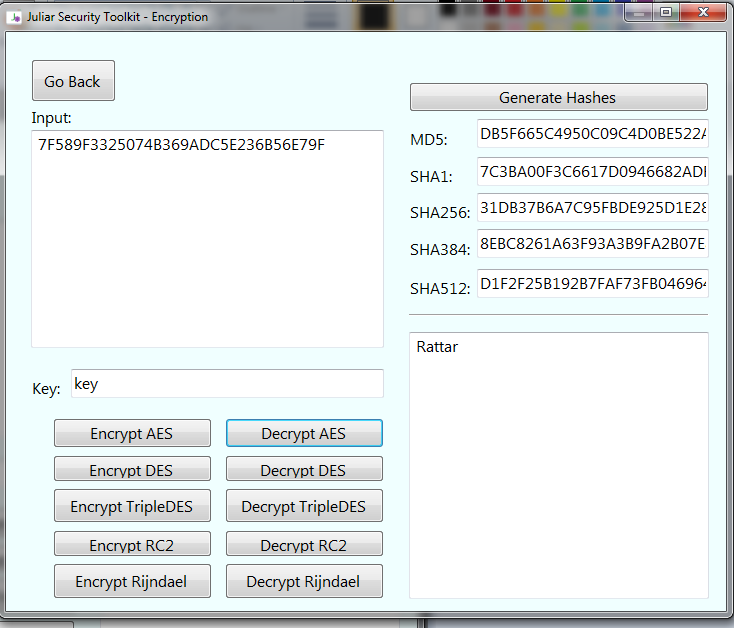 It’s a simple tool that features everything from RatTeam Toolkit as well as other Juliar stuff. Let’s Encrypt with an AES algorithm, and for the key let’s use key. You can use whatever you want. We can also easily decrypt the message by using the correct key and a phrase. Simple right? 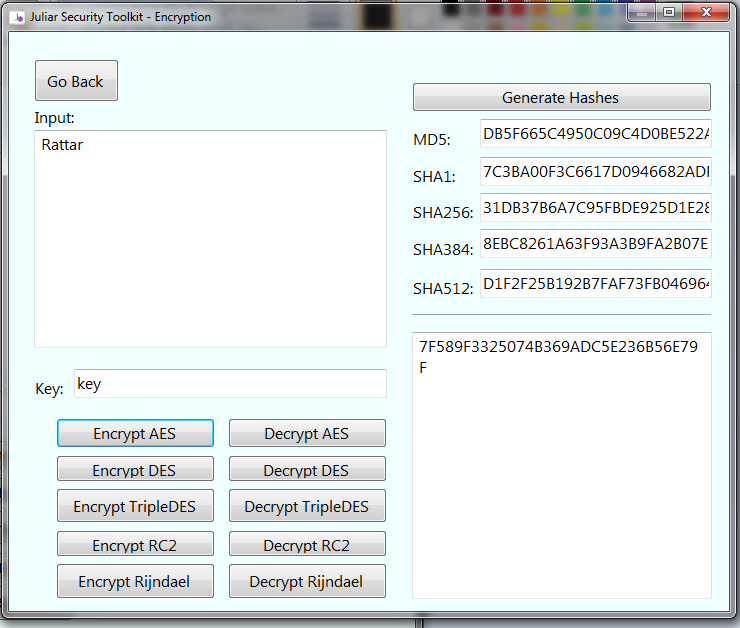 Please play around with other encryptions! Enjoy.